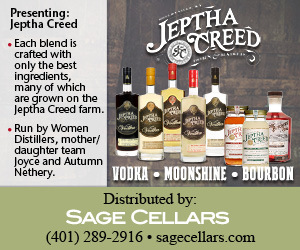 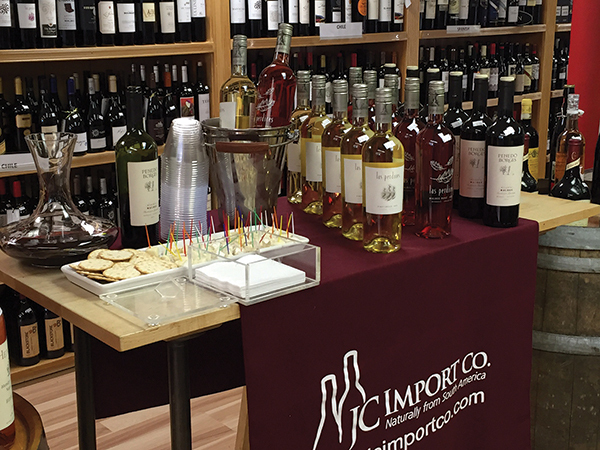 JC Imports Co. of North Kingstown hosted a wine tasting at Wayland Square Fine Wines and Spirits in Providence on April 14. 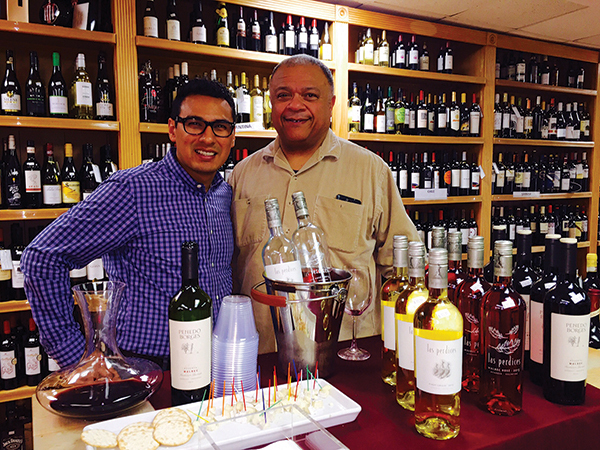 Milton Monzon, Regional Account Manager of JC Imports Co., highlighted selected wines, including Las Perdices Pinot Grigio, Las Perdices Rosé Malbec and the Penedo Borges Reserva Malbec. 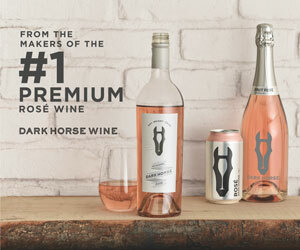 Cheese and crackers were paired with the wines. 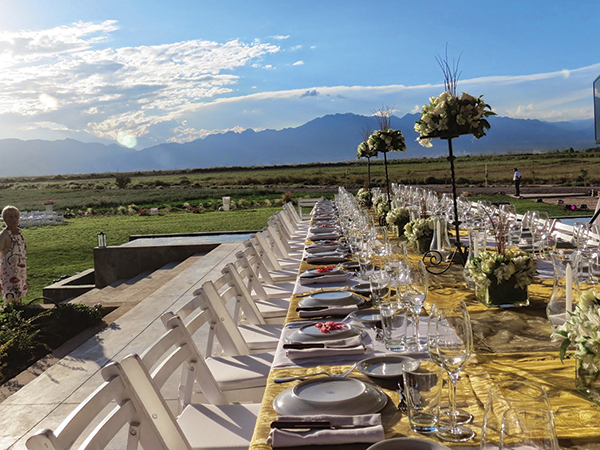 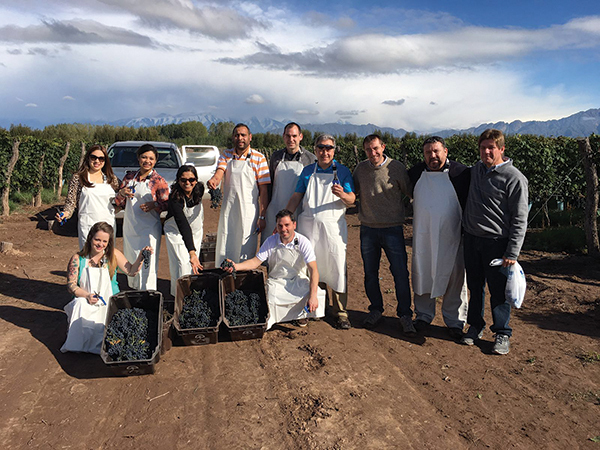 Also in April, JC Imports Co. hosted a group of its on- and off-premise accounts on an excursion to South America to learn about the region’s many unique wines. 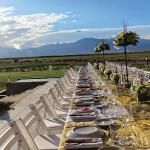 The trip began in Chile and ended in Mendoza, Argentina. 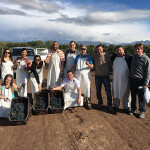 The group visited Calyptra Viñedos y Bodegas, Viña Chocalan and Viña San Esteban in Chile. 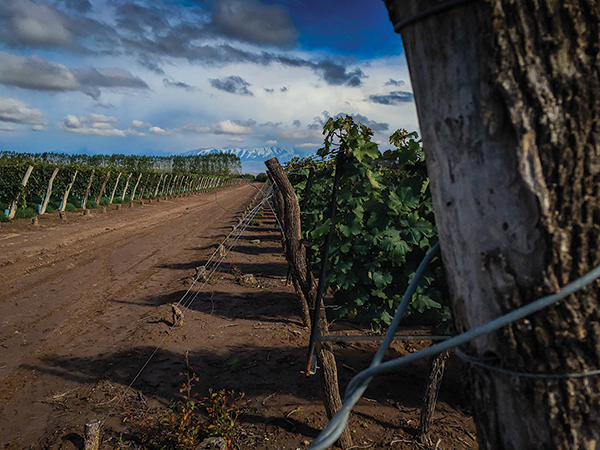 In Argentina, the group visited Bodega Otaviano, Bodega Las Perdices and Bodega Krontiras. 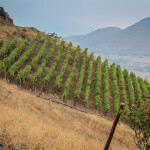 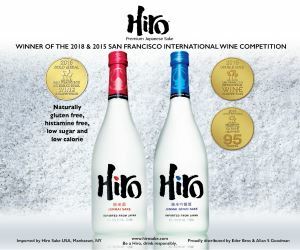 The JC Imports portfolio offers South American wines from Chile and Argentina, as well as a selection from South Korea. 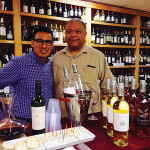 Milton Monzon, Regional Account Manager, with Bob Russell, Owner, Wayland Square Fine Wines and Spirits. 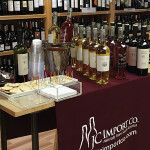 The display of wines at Wayland Square Fine Wine and Spirits. 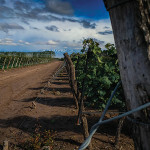 At Viña Las Perdices Winery in Mendoza, Argentina. 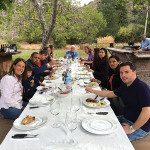 Standing: Jenny Castillo, Employee, Reyes Liquors; Diana Castillo, Owner, Reyes Liquors; Varsha Patel, Co-owner, Jamestown Wine and Spirits; Illesh Patel, Co-owner, Jamestown Wine and Spirits; Peter Ostiguy, Beverage Manager, New York Yacht Club in Newport; John Gasbarro, Wine Consultant, Bobby Gasbarro’s Oaklawn Discount Liquors; Carlos Muñoz, Owner, Viña Las Perdices; Carlos Figueroa, Owner, JC Imports Co.; Nicolas Muñoz, Owner of Las Perdices; Kneeling: Amanda Fullam, Beverage Manager, Los Andes Restaurant; Michael Santos, Owner, Sandy’s Liquor. 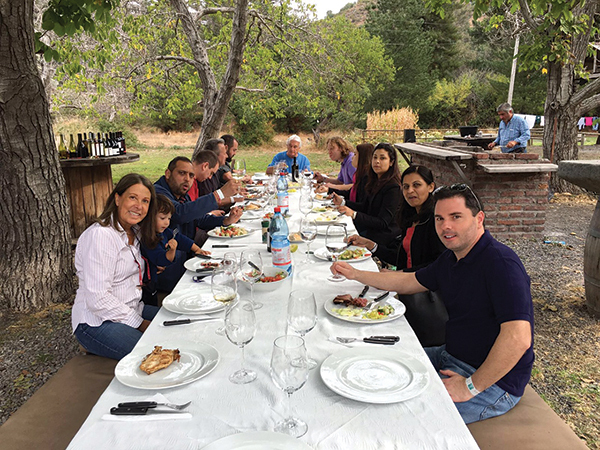 The group of trade professionals gathering for lunch at Viña Calyptra in Chile. 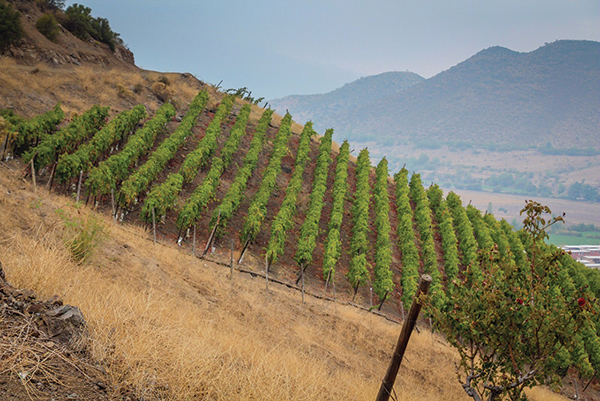 A view of the foothills of the mountain at Viña San Esteban in Chile. 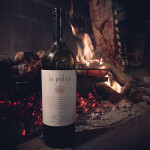 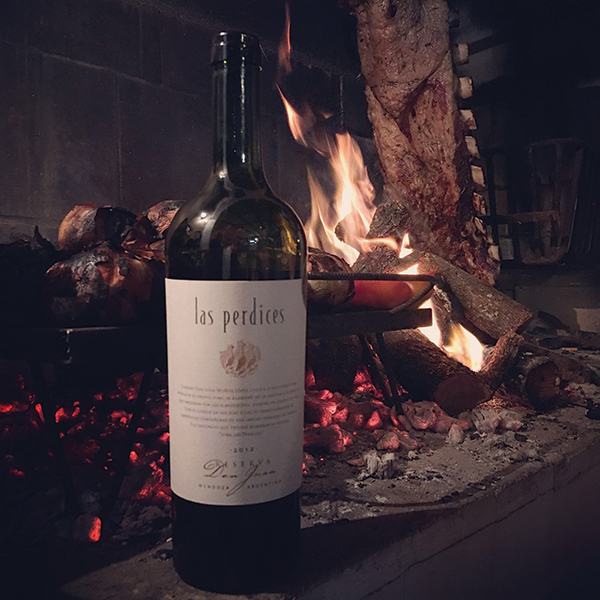 Wine with an Argentina asado in Viña Las Perdices.